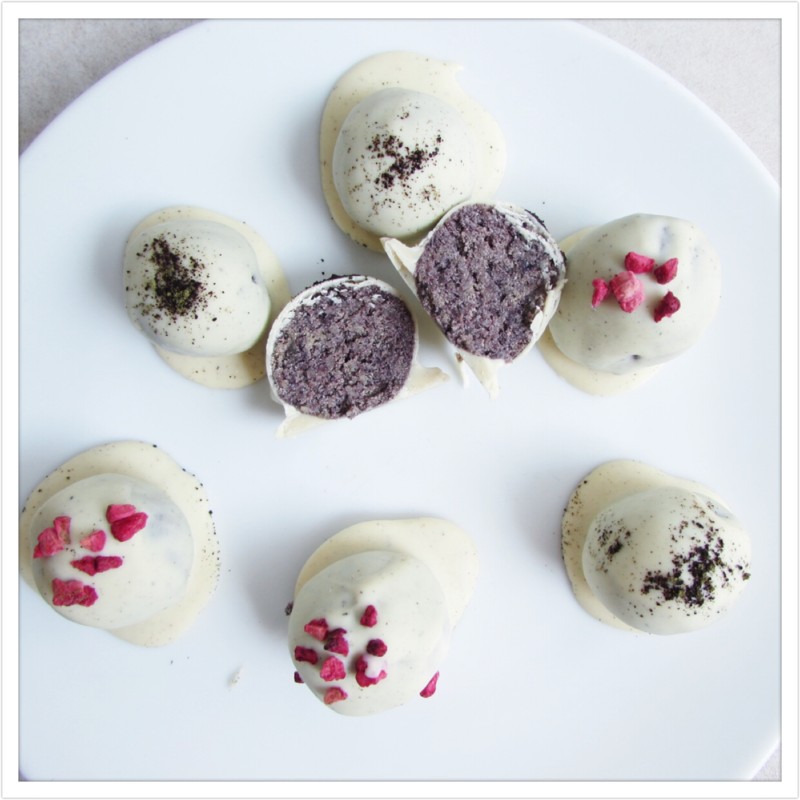 I told you I would be back with more recipes… and this one is rather different and a little more ‘out there’ than you may be used to! 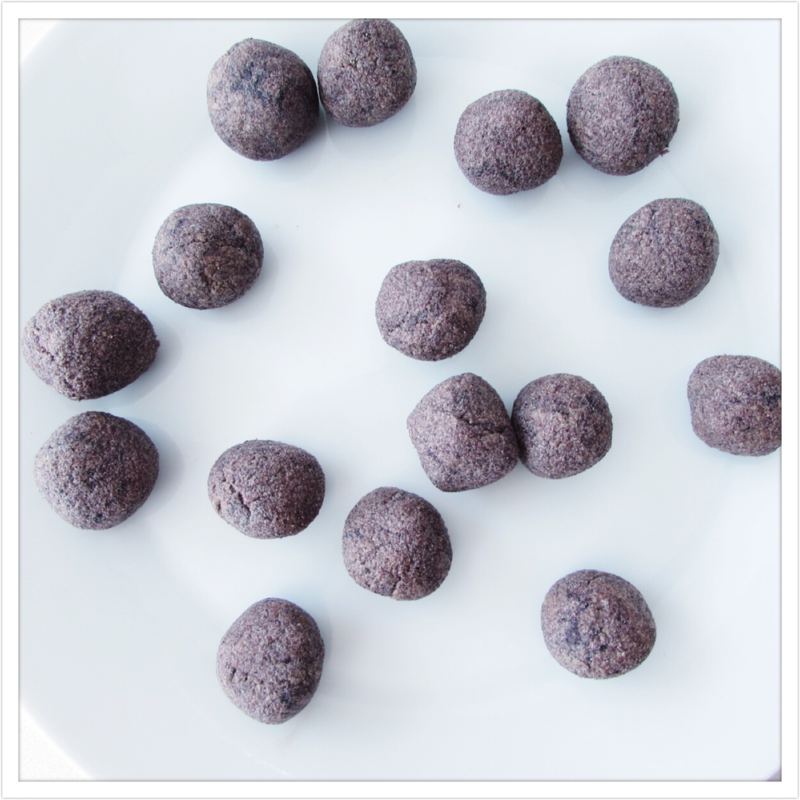 But do not be put off by the name ‘mud balls’, because what I am referring to is Edible MUD that is extremely good for your insides! 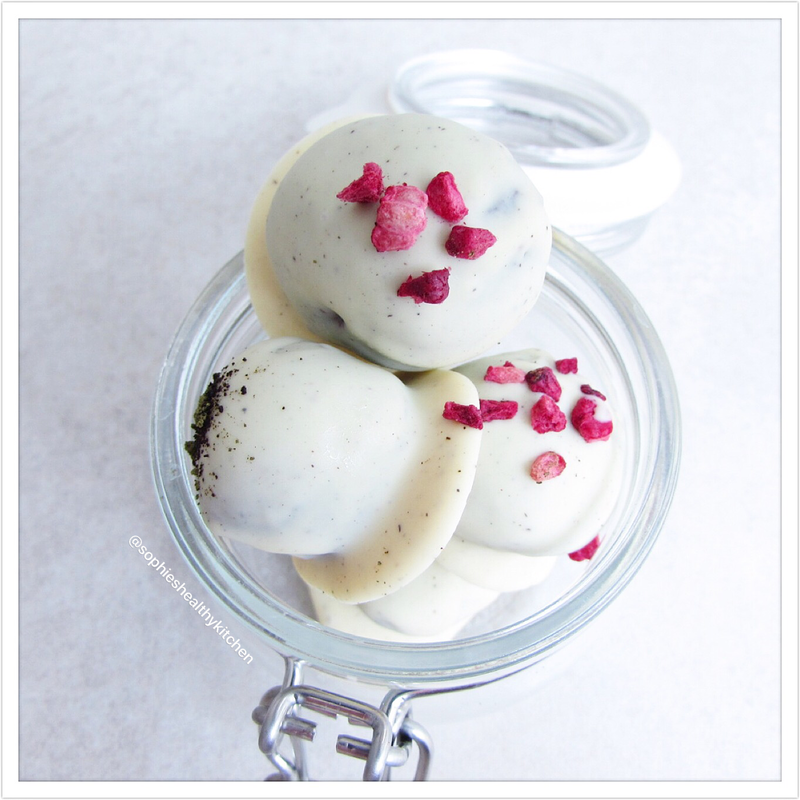 They are made with nourishing, plant based ingredients and are suitable for vegans. Bentonite clay is aged volcanic ash. Bentonite clay has a powerful negative charge, when hydrated those negative charges readily attract positively charged toxins. Bentonite clay acts as a magnet and can assist the body in eliminating toxins from the gut. It has the ability to swell, and adsorb toxic ions, and remove them from the body. Bentonite Clay, part of the Smectite family, can neutralise bacteria in the gut and assist in alleviating digestive issues. 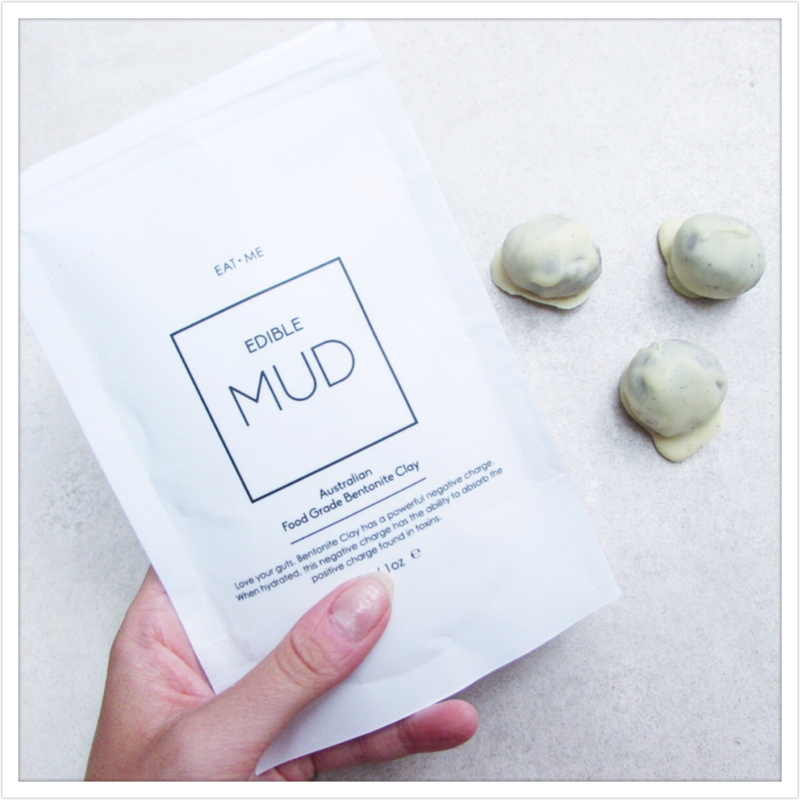 Edible MUD is also high in Iron and Magnesium and can be taken for overall wellbeing. You may be pleased to know that the MUD is flavourless- so we are literally adding this ingredient purely for its health benefits. Now something that does have flavour is blue matcha- a delicious flavour! To find blue matcha, head over to https://www.bluegreenplus.com and use code SOPHIE10 at the checkout for a 10% discount! In a bowl, combine the ground almonds, protein powder and blue matcha. Prepare the mud in a cup with the 2 tablespoons of water and add to the dry mix bowl. Then add the raw honey and with your hands, mould the mixture into one large ball. You will really need to get your hands into the mix to make sure it is evenly combined. Then you can use a teaspoon to tear bits of the mix off and roll in to 12-16 separate balls depending on how big or small you want them to be- place them on baking paper. 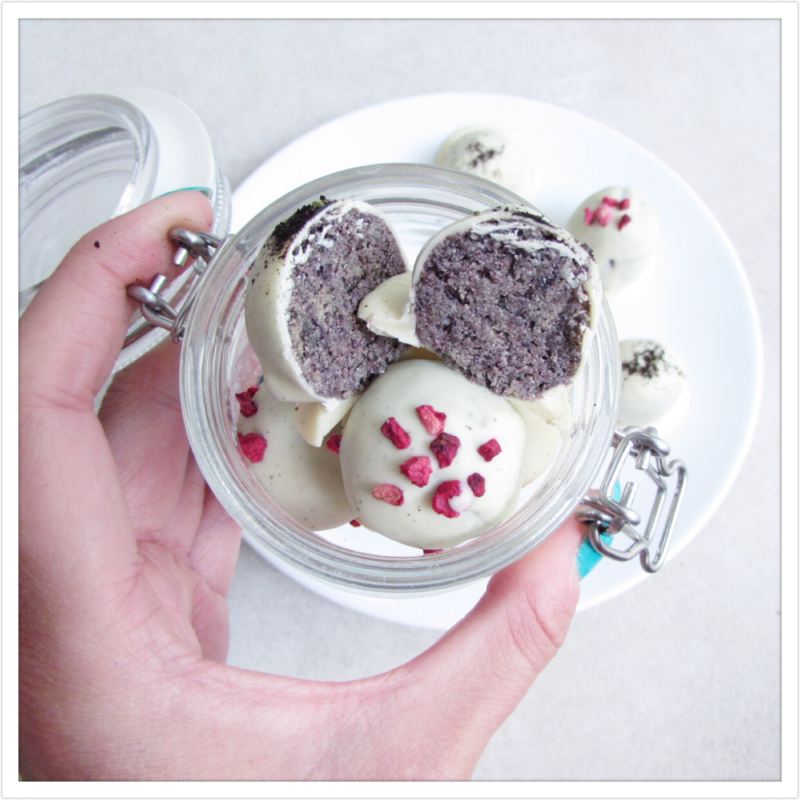 Place your raw balls in the fridge or freezer for 1/2 an hour to an hour. Whilst you’re waiting, you can melt the white chocolate into a bowl. Once chilled, you can cover your balls with the melted white chocolate (I do this using two teaspoons to get an even coverage). 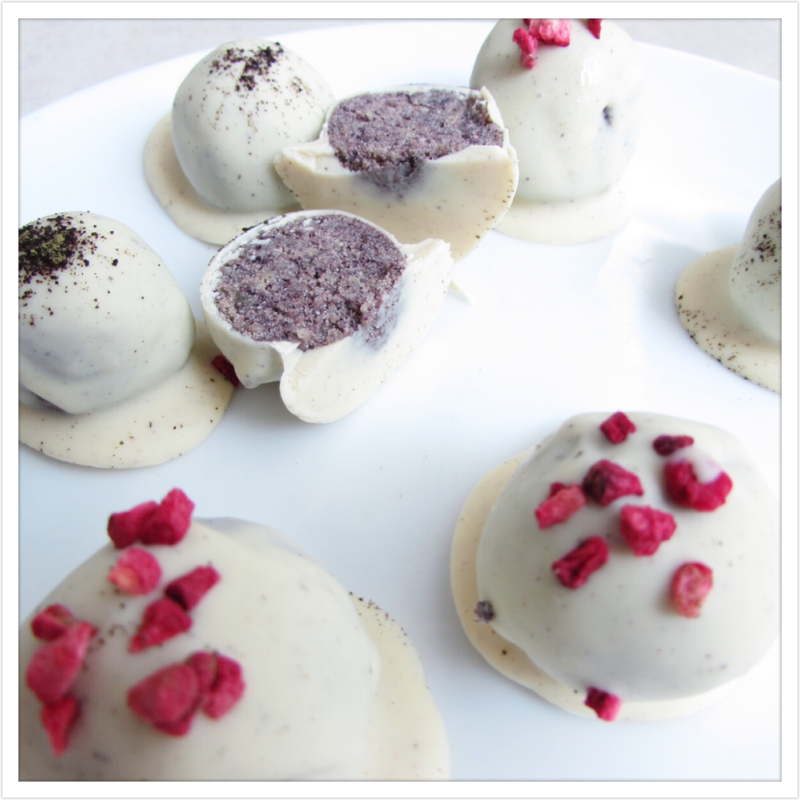 (This is optional) decorate the balls with freeze dried raspberries. 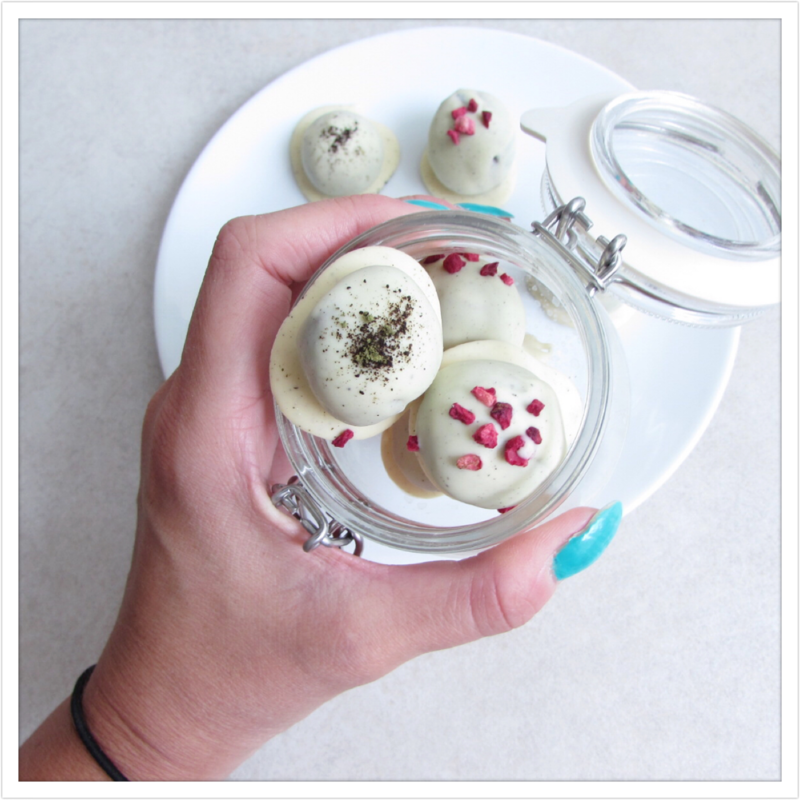 You may also want to sprinkle some additional matcha powder on top. Then place the balls back in the fridge to chill for around 2 hours. Then, enjoy! These will last for around 5 days in the fridge- although mine never last that long! Make sure you subscribe to my website and follow my instagram page to stay up to date with SHK!